No two cannabis strains are equal, and this applies to everything including growing. While cultivation is fairly easy, there are some strains that are more resistant to disease, insects, mold, and drought which means that it requires less work on the part of the grower. Novice growers can benefit from trying these easy strains – there will be less risk of failing when you start growing with these strains. Doing so will give you adequate practice for trying out more challenging strains in the future. Before you start, make sure that you buy good quality seeds; without it you’re just setting yourself up for failure. Blueberry has earned a cult following since its development in the late 70’s. These plants have a distinct look combining green and bright blue colors. You can’t go wrong growing AND using Blueberry; it has a high THC content that is well-loved by both recreational and medicinal patients. High THC levels are effective in helping patients treat chronic pain and migraines as well as stress. Blueberry is a favorite of novice growers because you’ll hardly encounter any struggles growing it from seeds whether indoor or outdoor. One thing you should keep in mind is that you should be careful about choosing the harvesting time for your Blueberry plants – the middle of October is always best; you can get as much as 25 ounces from each plant during this time. White Rhino is considered by many to be a grower’s dream because it yields much more than average of top quality bud. Thoroughbred White Rhino plants have a high THC content which makes it a popular choice for those with healthcare needs. White Rhino can grow well in almost any environment without any problems and strains will grow generously so you can collect a big yield every time you harvest this strain. Early October is the best time to harvest White Rhino, when it has the ability to yield as much as 42 ounces of bud in each plant! Blue Dream is a popular strain due to its versatility in medicinal benefits, and it’s also well-loved for being fairly easy to grow. Blue Dream is easy to grow indoors, and moderate in the outdoors because it can get pretty sensitive to harsh weather changes. 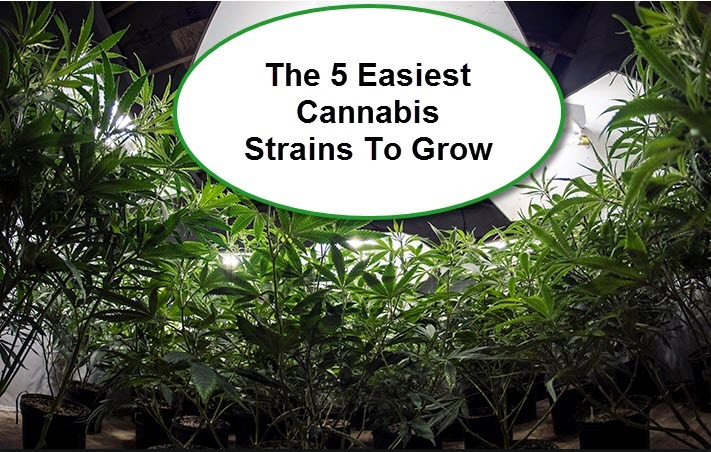 This strain can also attract parasites especially red spider mites if grown outdoors in the USA; but if you’re in subtropical or Mediterranean climates it will do just fine. Blue Dream is another high THC strain although it delivers a buzz friendly enough for novice consumers to enjoy. October is the ideal month to harvest Blue Dream plants. Green Crack is a favorite among those who love a good sativa because of its ability to deliver an energetic, euphoric, and happy hit. Green Crack is great for anyone who may be learning to grow their own cannabis for the first time, since it’s pretty flexible for growing both indoors and outdoors. This strain is sensitive to powdery mildew so make sure that humidity is always low when you are trying to grow some Green Crack. If you choose to grow it outdoors, this strain works best in Mediterranean climates. The best time to harvest Green Crack is from late September to early October. Gorilla Glue #4 has extremely high THC content with levels ranging from 30 to 33.5% so users should be careful with this one. It delivers a relaxing yet happy high and will allow you to be productive even while medicating. Gorilla Glue #4 is also notorious for being one of the stickiest strains out there; it grows well in the indoors and will also flourish well in sunny and warm outdoor environments. Beware: this plant is known to produce A LOT of resin so be sure that you’re prepared to clean and sharpen your scissors after your harvest. Gorilla Glue #4 produces a generous yield but despite being extremely sticky, it’s easy to grow so it’s a win-win for everyone! When planted in dry and sunny settings, Gorilla Glue#4 can yield as much as 21 ounces of bud in each plant. Middle of October is the best time to harvest this strain. Which strains do you enjoy growing because its so easy? Share with us in the comments below!